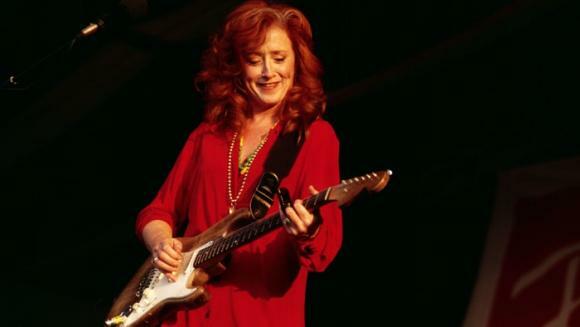 Once again, Bonnie Raitt is coming to take over Fox Theater Oakland and you can grab the chance to be there! If you're a fan of Bonnie Raitt then get down on Tuesday 20th March 2018 – it's going to be a great night! The sensational singer songwriter star, the one and only Bonnie Lynn Raitt is coming to the stages of North America on a 2018 spring tour and you can grab the chance to be there. This American blues singer-songwriter, musician, and activist has been a long standing triumph, inspiration and more for so many of her fans and fellow songwriters alike. The voice behind the classics such as the heartbreaking, yet beautiful – "I Can't Make You Love Me." Since the 1970's – like most of her time, she began to perform around New York City's local cafes where she was first noticed. At The Gaslight Cafe she took center stage on a support slot and rightly so grabbed the attention of a Newsweek reporter… with an outstanding review, she was pushed towards the limelight and major record labels were more than ready to snap her up! With much consideration for the rest of her career, she finally chose to go for a contract with Warner Brothers. It was via here that she released her debut album – Bonnie Raitt in 1971!! The album took off and exploded her career, gaining nothing but praise for her skills as an interpreter and a guitarist; at this time in popular music, females that had strong reputations as guitarists were rare gems on the scene! Right through the decade, fans across America and other areas that she performed at, admired her for her incredible performance and songwriting abilities. Despite her career ever growing, her humble attitude remains. Her 1973 album, Takin' My Time followed in the same footsteps as he previous one but stayed at a good level of sales. After this her aim changed from working on a sole basis to co-writing and experimenting with different producers. Her collaboration included the 1975's Home Plate which adopted a more commercial sound.